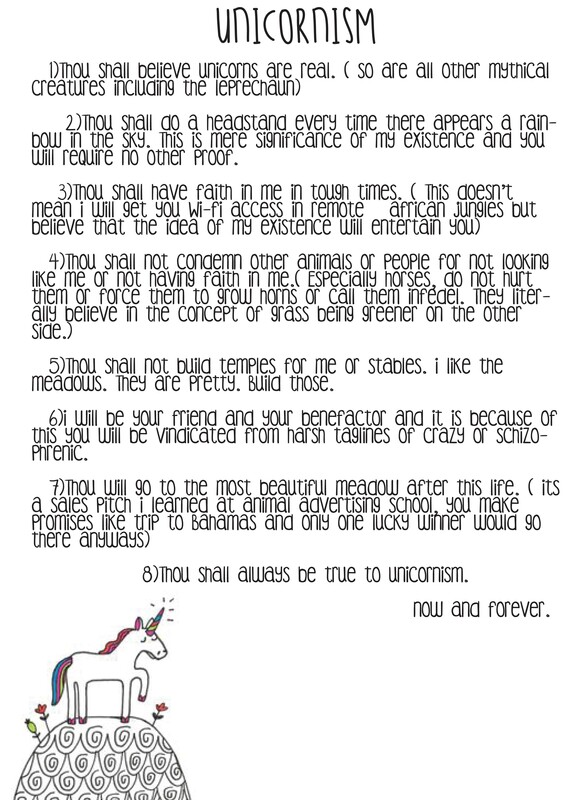 UNICORNISM : Why (genuine) Faith can never be of the masses. I usually do not indulge in the topics of FAITH, LOVE or religion, but over the past couple of weeks these topics have been hard to avoid. Especially Faith and religion. Faith is a superior form of religion or vice versa. There are zillion of video’s books and articles which talk about it, so I’m not going to present you with a research paper, what I am going to do is insert some much-needed doodle. I do not intend to mock other religions through this doodle. I am not that person, but I am also not an idiot who will fall into the trap of anything and everything with a tag of religion. If you are truly a believer of whatever you believe in, you will always know in the back of your head that it works for you only because of your faith in it. That being said, I think unicorns are a good option if it comes down to believing interchangeable history.